As the title suggests, advance tax is simply the tax you pay before the end of the current financial year but that is part of the income that will be assessed for tax in the next financial year. Tax payers whose tax return does not have any income to show in the category ‘Profits and gains of business/ profession’. Senior citizens or income tax payers who file returns past the age of 60. The inference is that everyone who is not over 60 and has no income under the heads of business or professional income is duty bound to pay advance tax by law. Advance tax has to be paid by individuals, Hindu Undivided Families as well as companies, commercial businesses and professionals. The above exemptions are applicable only to persons who have a permanent residence in India. Essentially, advance tax can be deposited as part payments in place of a single large sum at the end of the year. Every year, the Central Board of Direct Taxes notifies the dates when this tax for individuals and companies becomes due. These two are usually different. On or before 15th June At least 15% of advance tax must be paid. On or before 15th September At least 45% of advance tax must be paid. On or before 15th December At least 75% of advance tax must be paid. The method to calculate Advance Tax at the rates above is outlined in Section 209. Form 26AS forms the basis of Advance Tax computation for individuals in India. For the purposes of self-assessment, projections have to be made for the whole year albeit at currently applicable rates as defined in the Finance Act laid in parliament in the Annual Budget. Remember to consider all sources of income as illustrated in Form 26AS. Salaried individuals may refer to their TDS source, i.e. Form 16. 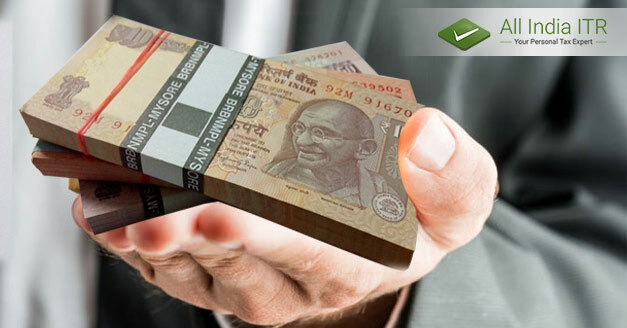 Incomes of the last few financial years will also be considered by your Income Tax Assessing Officer along with income tax returns filed by you before. These should also be your own basis for any annual income projections. Subtract deductions from your annual income from all sources as published in Chapter VI-A of the I-T Act. Apply income tax rates relevant to the current Financial Year as specified in the Finance Act. Where the company’s accounts are well-maintained and reliable, the Profit and Loss statement for the previous month becomes the basis for estimating Gross and Net profits. In accounting parlance, close approximations can be used for costs of utilities such as electricity and water, salaries of employees and related expenditures, recurring expenses and depreciation of capital assets. The Gross Profit to Net Profit ratio should not be lower than what it was in the previous year unless there has been a significant loss. For tax purposes, a slightly higher projection is used and a refund can be demanded after the end of the current fiscal. For companies or firms with unreliable data, sales figures are utilized in the computation of advance tax. Note that these computations can easily become quite complicated and under-reporting of turnover could result in costly penalties and tax notices. In such a situation, it makes sense to hire the services of a competent CA or financial expert. Technology has made it possible to interface with tax experts at very economical rates, file your income tax returns online or flag and have doubts answered relatively quickly. We recommend you take full advantage of an online source of such services.